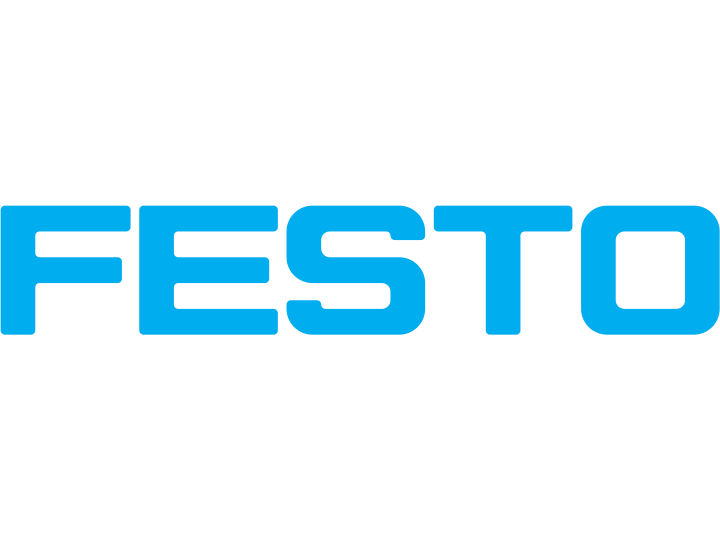 Powermatic Associates is the authorized distributor for Festo throughout Northern California and Central Valley California. Almost everyone has observed that when flexible hoses are pressurized, they expand in the radial direction and contract in the axial direction. Festo Corp. exploits this phenomenon in a new type of actuator they call the Fluidic Muscle.The design is relatively simple. Rubber core tubing is enclosed in two layers of material whose fibers are aligned in different directions to produce a rhomboidal pattern. 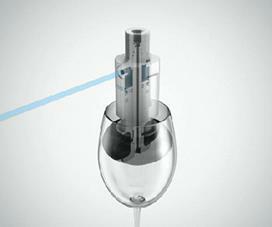 The pneumatic ‘Fluidic muscle’, a completely new kind of pneumatic drive, is a development by Festo.The bionic muscles consist mainly of a hollow elastomer cylinder embedded with aramid fibres. When the fluidic muscle fills with air, it increases in diameter and contracts in length, enabling a fluid, elastic movement. Energy-efficient gripping principles found in nature can be applied to automation technology and deliver small, lightweight, and powerful grippers. While gripping, holding,and setting down objects are vital production processes, conventional grippers are not always energy efficient when it comes to their gripping force-to-weight ratio. Nature, on the other hand, abounds with perfect examples of principles of efficiency. With the NanoForceGripper, engineers from the Festo Bionic Learning Network have developed a gripper whose suction cup-like components are modeled on the pads of a gecko. NanoForceGrippers cling reliably and permanently to the surfaces of the object to be gripped thanks to the tiny, intermolecular van der Waals forces. The parallel, three-point, radial, and angle pneumatic grippers in Festo’s DHxS series have been in high demand since the series introduction. 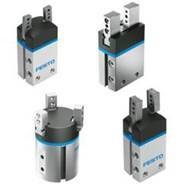 The quality, performance, and one-stop-shop ordering convenience with other Festo pneumatic and electronic actuation products have made these grippers a hit in the U.S., prompting the company to feature the line as products of the month for May. Handling fragile workplaces, such as drinking glasses, plastic or glass bottles, and other items with circular openings can be tricky. DHEB series of bellows grippers from Festo can be used across a variety of processing and manufacturing industries to avoid breakage and make smooth, controlled transfers.DHEB grippers employ flexible bellows that expand in diameter when actuated by an integral pneumatically driven piston, to securely grip the interior surface of a work piece. Engineers have taken advantage of 3-D printing for rapid prototyping of tools and parts in recent years. 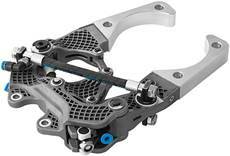 Technicians at the German firm Festo AG & Co. are taking the technology to the next level to mass produce end-of-arm robotic attachments. The Esslingen, Germany-based supplier of drives and other automation components refers to the tool as a “bionic handling gripper.” Instead of metal, the gripper is fabricated with a lightweight composite. Borrowing from the biomechanics of a fish fin, engineers applied a fin ray pattern to the three gripper fingers, giving them both strength and flexibility. The fingers adapt to the shape of the object being picked, an advantage when foods susceptible to damage are the target. 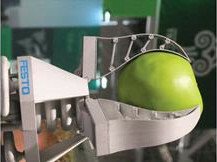 According to Festo Spokesman Christopher Haug, the bionic gripper can handle a payload of up to 200 grams, or seven oz.